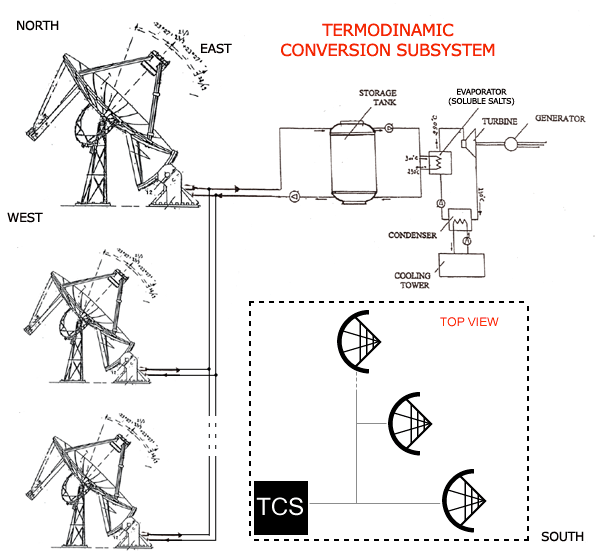 - The parabolically curved parabolic concentrator with rotating sectors (v.d. 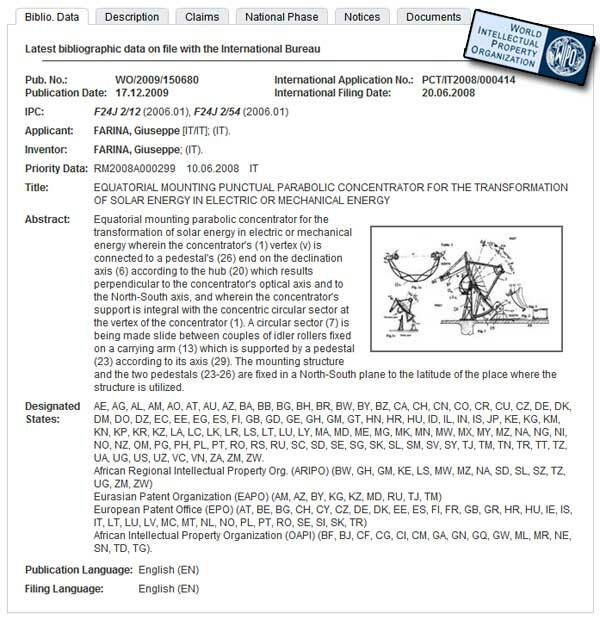 RM2009A0457) which allows to realize concentrators of great dimension without any reduction of steadiness of the same in the presence of strong wind; consequently, the carrying and the movement structures shall be more light and economic (see Tav.1 & Tav.2). Carrying easiness, the concentrator can be reduced in sectors. Besides such adjustable structures allow the choice of a paraboloid of any diameter with a high resolution power in order to receive more electromagnetic waves and can be used to build optical radiotelescopes and aerials for satellite communications.